Angela Greiner earned her BS in Public Relations from the Ohio Dominican University in 2004. 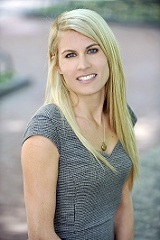 Prior to joining The Gilbert Group, she was involved in the commercial real estate industry as the Assistant Director of Marketing for Continental Real Estate Companies for over 5 years. Angela has years of experience with the International Convention of Shopping Centers (ICSC) as well as marketing for hundreds of commercial real estate properties all over the Midwest. She has been actively involved in the procurement of many project leasing and tenant representation account across the United States. Angela also volunteered for three years at the Lutheran Village Assisted Living home.